Over the past few months we’ve been giving our Assignments a fresh lick of paint, so that what used to be a minor feature on the lesson dashboard is now a full blown module schools can use as an electronic homework solution. 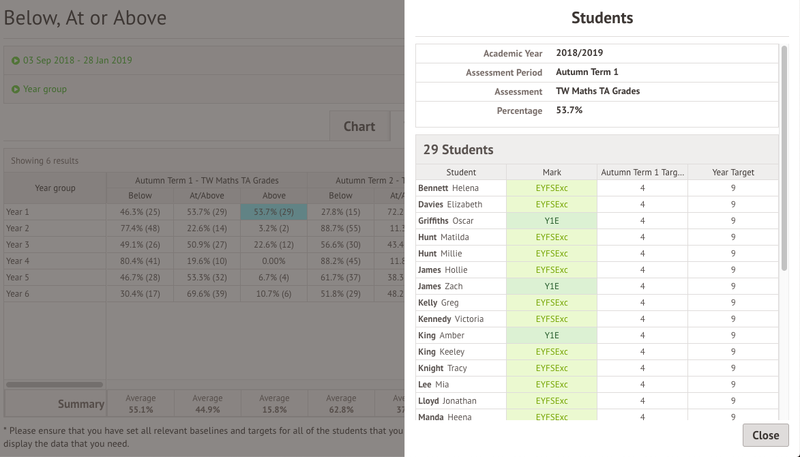 Teachers have always been able to set students work directly from the lesson dashboard, which will appear in their Student Portal so they can submit their work online, but we’ve made some big improvements to what you can then do with the data this generates. 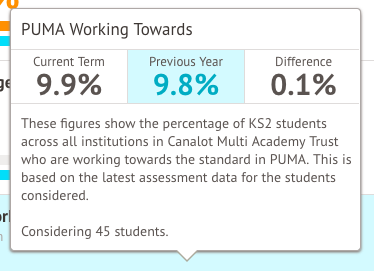 School leaders can now analyse how much work is being set in each subject, which teachers are setting the most work, and more! We’ve made some improvements to the workflows for creating assignments, and tracking the submissions of assignments within Arbor for you and your teaching staff. 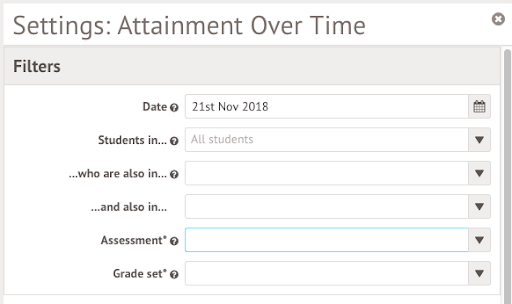 These new additions to the assignment module have been developed based on feedback from school senior leadership, who wanted a way to see the submission statistics for assignments in their school, and check the quantity and quality of homework set by teaching staff. We take suggestions from schools very seriously, so please keep them coming! In the “Overview by Courses” section, you can see the number of assignments created and the submission statistics for each course in your school by month, term or academic year. Based on what you want to look at in more detail, or if there are any areas you want to follow up on, you can drill down to see the number of assignments created and the submissions statistics for each year group and each class within that year group. You can also see the assignment submissions for specific students in a class and across all their classes with the grades and/or comments for each assignment they submitted. In the “Overview by Staff” section, you can see the number of assignments created by each member of staff per month, term and academic year. 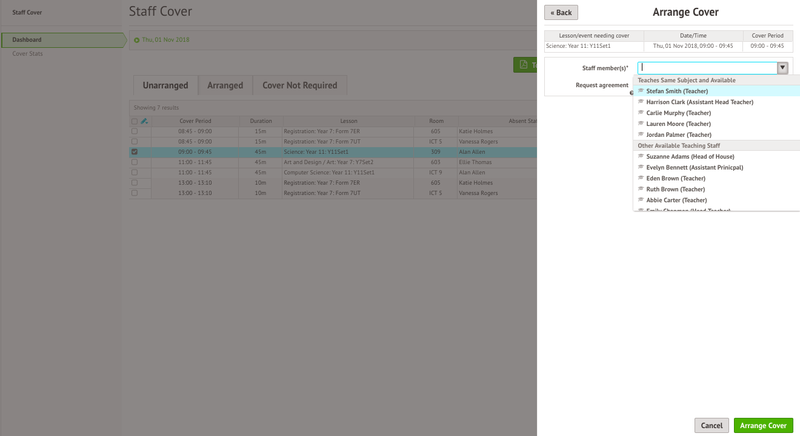 You can easily drill down from this view to see the assignment details as well as the submission rates in the markbook. 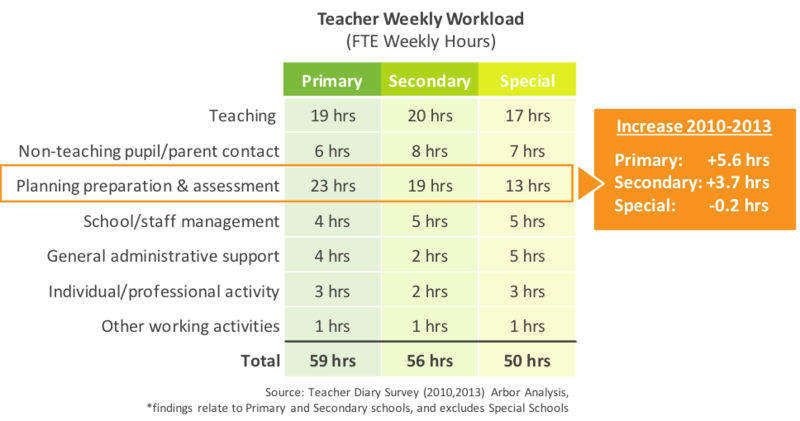 This gives you a clear view of the amount of homework being set according to your schools’ homework policy, and gives you a deeper insight into the quality of assignments your teaching staff are creating for students. You now have the ability to create an assignment for multiple classes, saving you the hassle of re-creating the assignment for each class you need to assign it to. 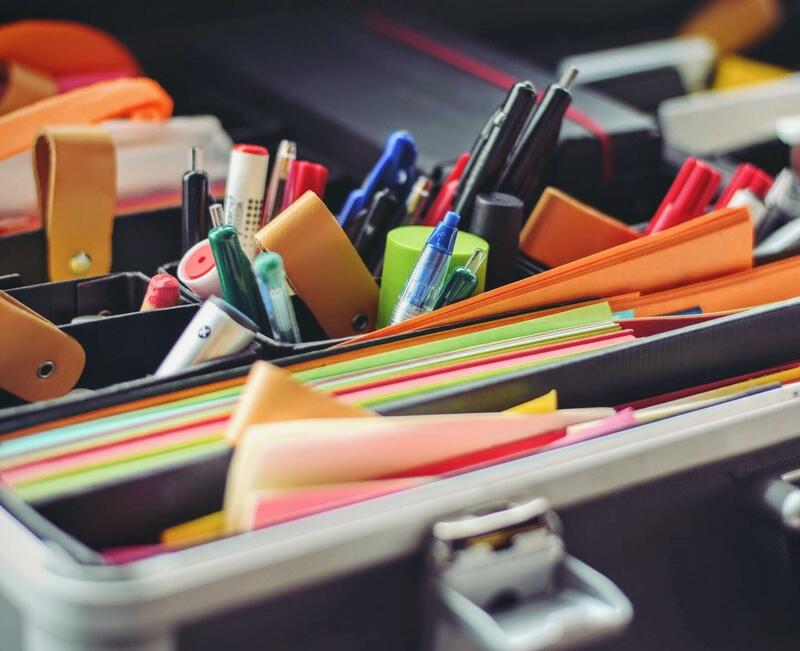 This is particularly helpful for members of your team who may need to create an assignment like a coursework deadline for all classes across a department or faculty. You can create an assignment that doesn’t need to be marked by selecting ‘No mark’, giving you and your teaching staff more flexibility to track the submission of every kind of work. 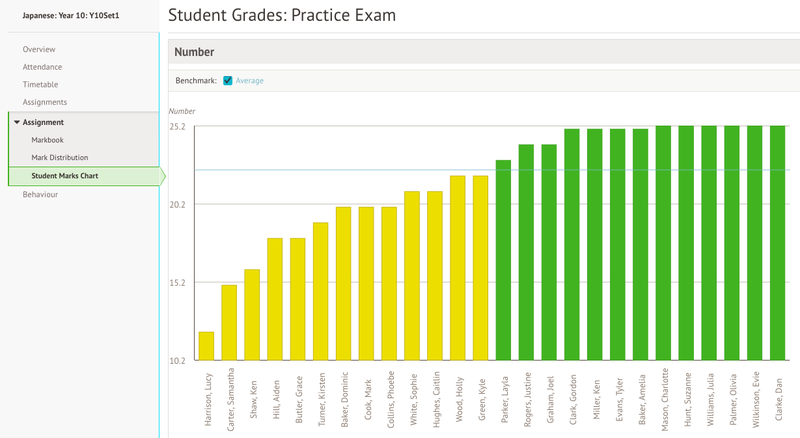 You can track submissions for assignments that do require marking by selecting ‘Grade’, ‘Number’, ‘Percentage’, or ‘Comment only’. Alternatively, you can simply input a grade and/or a comment into the markbook, which will automatically update the submission status. You can track the submission of all assignments, whether they are submitted via Arbor through the Student Portal or physically in school. 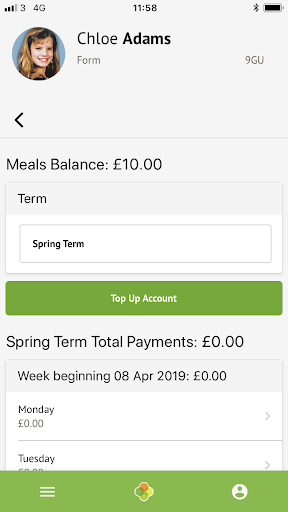 Teachers can update the status to ‘Submitted’, ‘Not submitted’, ‘Submitted late’, and ‘Waiting for a student to submit’. If students submit work via their Student Portal, it will automatically show as ‘Submitted’ and will be ready to mark. 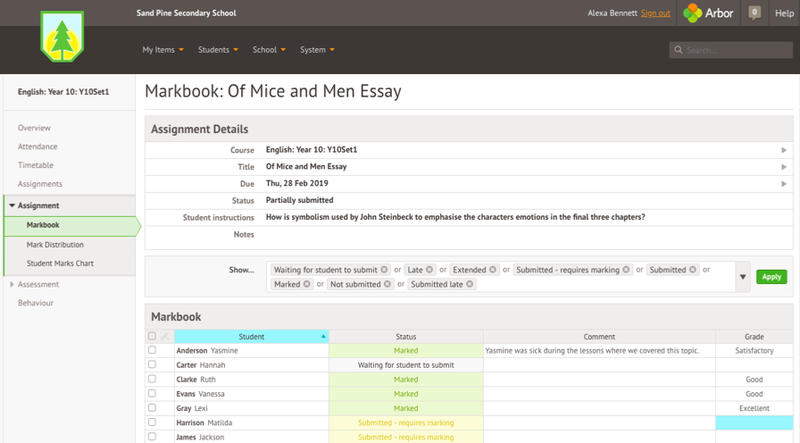 We hope this module can help you to track assignment submissions, make them easier for students and teachers to manage, and ultimately improve the effectiveness of assignments in your school. More and more schools and MATs are choosing to move MIS, with 1,000+ schools and MATs predicted to switch this year, and we’ve definitely noticed interest in our own products and services increasing. We now work with over 600 schools spread across hundreds of MATs and Local Authorities, driven by a desire to transform the way they work, save teachers time, and improve outcomes. 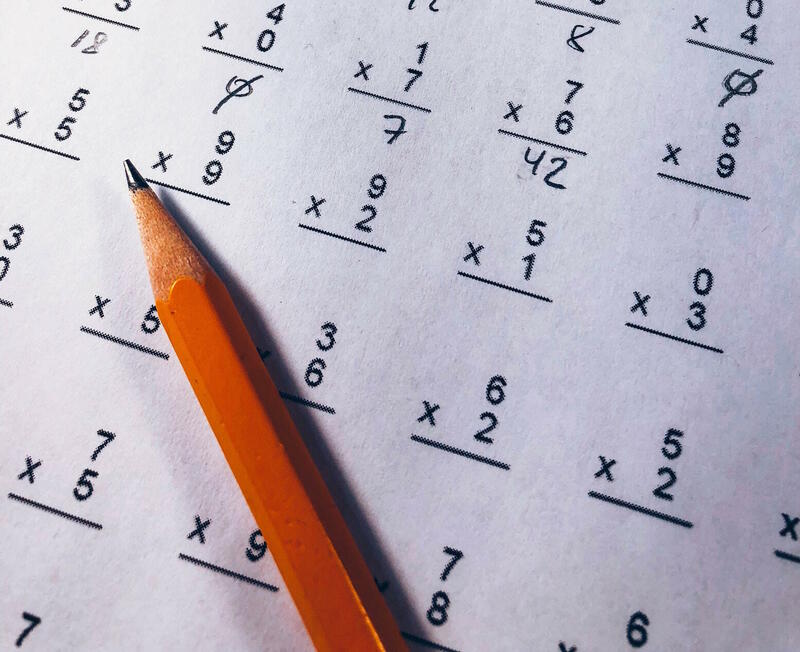 However, while it seems ever clearer why you might want to move to simpler, smarter, cloud based systems, we still often hear from schools wondering exactly how they buy something as complex as a Management Information System. This is always the first step! Email tellmemore@arbor-education.com or call us on 0208 050 1028 and we’ll connect you with your local Arbor Partnership Manager. Your Partnership Manager will come and visit you to learn more about your requirements and give you a demo of our MIS. 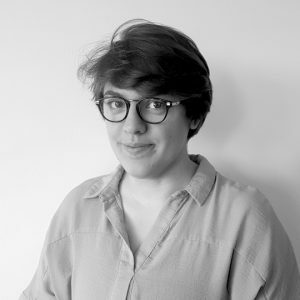 They’ll also answer any of your questions while you decide when you’ll switch, including a written proposal so you can feel confident in your decision and share it among other stakeholders. 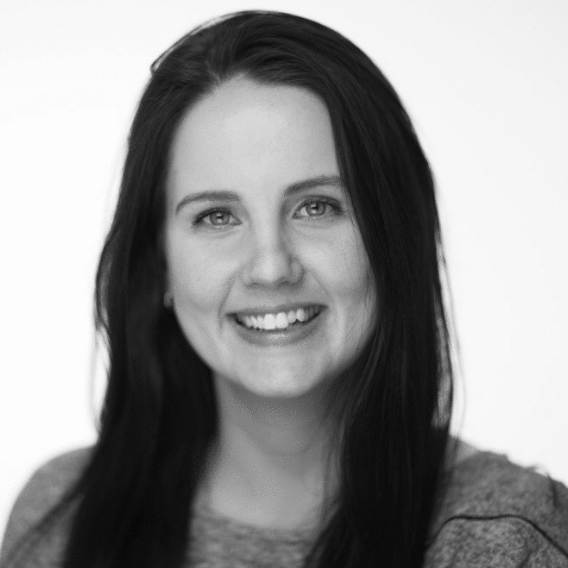 When you’ve had time to evaluate your options and decide which package suits you best, they’ll send your contract and introduce you to your dedicated Customer Success Manager, who will personally walk you through your kick-off plan and data migration. 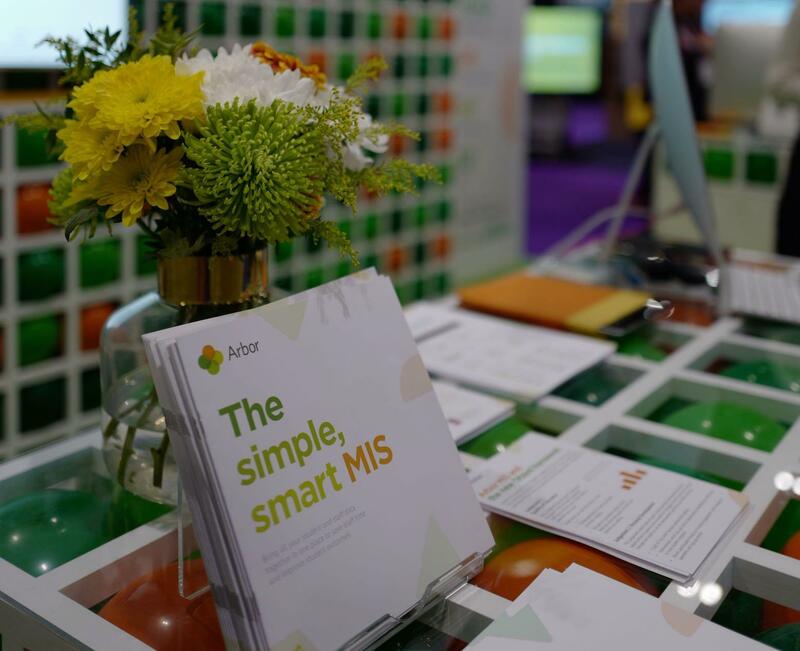 This is definitely the simplest way to get started on Arbor MIS, and is perfect for customers from individual schools to smaller and medium sized trusts. 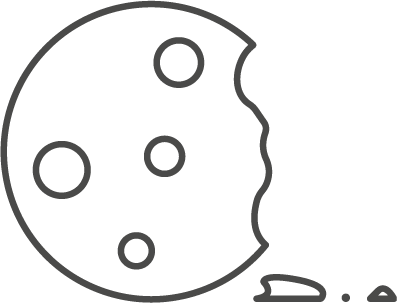 You can also buy Arbor through several trusted frameworks, giving you the peace of mind that due diligence checks have already been made on our product and company. Arbor is a member of the government’s G-Cloud 10 framework for approved cloud suppliers, and the ThinkIT framework. To use a public framework, check their website carefully as the rules for each are different. Generally you’ll be able to send us your requirements and have a demo, before signing using the framework’s contract template. Both of these frameworks are suitable for customers of all sizes, and allow you to buy direct without running your own process, though they do provide you with a little less flexibility than coming to us directly (see above), or going to tender (see below). If you’re a medium/large MAT or a larger school with more complex needs, you might want to take the time to write a tender outlining your requirements. We can still give you a demo whilst you work out your requirements, and once you go to tender we’ll respond to all your questions and outline the contract we think will be right for your school or Trust. 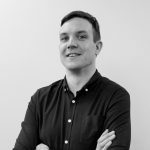 When writing your requirements, it can help to think about what you need your system to do, rather than just listing specific technical features you like the look of, as different MIS providers may have different solutions to the same problem. So long as you follow this rule of thumb, functions over features, tendering doesn’t have to be intimidating – you know what your school or Trust needs, and it’s up to suppliers to prove how they can provide that for you. 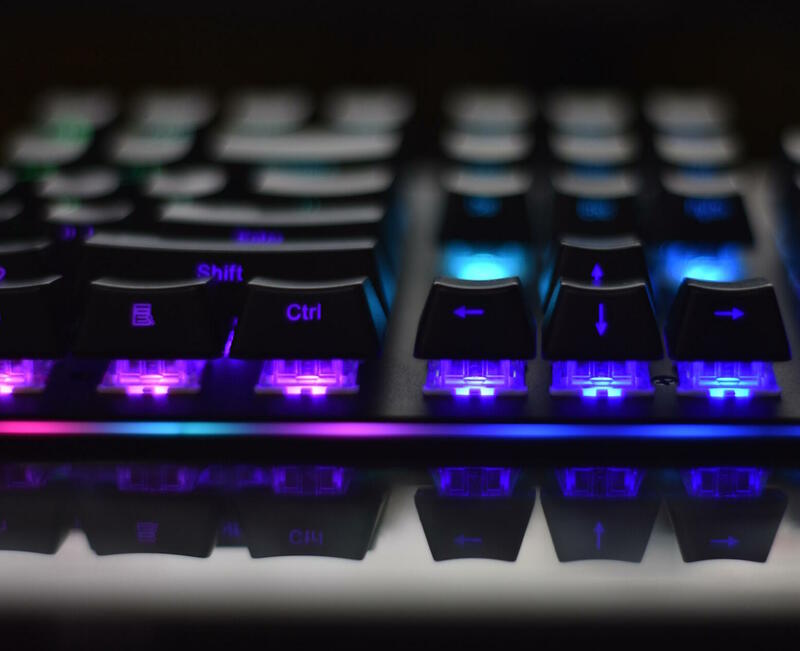 You can find lots of great procurement advice online from the Crown Commercial Service, including a list of MIS functions you might want to ask about in your tender. Click here to see their list of suggested areas to consider. 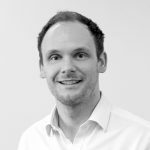 If you think your MIS lifetime contract value will go over £181,302 you’ll need to run a formal public tender, which comes with its own set of rules and guidelines – tender expert John Leonard has written a blog that thoroughly outlines this process. Otherwise, just make sure your questions are clear, that you’ve outlined how you’ll be scoring products and pricing, and that you’ve given a reasonable amount of time for suppliers to respond to you. Don’t forget to give yourself enough time to properly evaluate the systems, as well – it’s better to tender sooner rather than later. All this is especially important to consider at this point in the financial year, as some of your contracts may be coming up for extension. 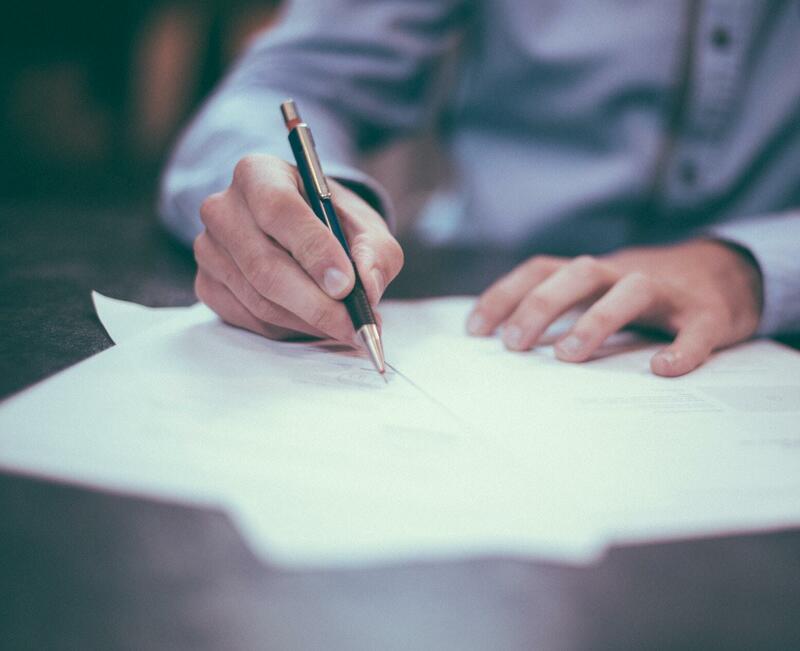 The DfE has confirmed in recent advice that moving to a cloud based product should be considered enough of a contract change to run a new procurement exercise, even if the new product is with the same provider. If you’d like to see what else is out there and look into Arbor MIS or Group MIS for your school or Trust, you can fill out our contact form, email tellmemore@arbor-education.com, or call us on 0208 050 1028 to get in touch! As I’m sure you’ve heard, School Pupil Tracker Online (SPTO) will be closing down at the end of this year. If you currently use SPTO, you’ll be looking for something to replace it with the same (if not better!) level of functionality and analysis, so this is a great opportunity to look at how you’re using your current MIS system as a whole. 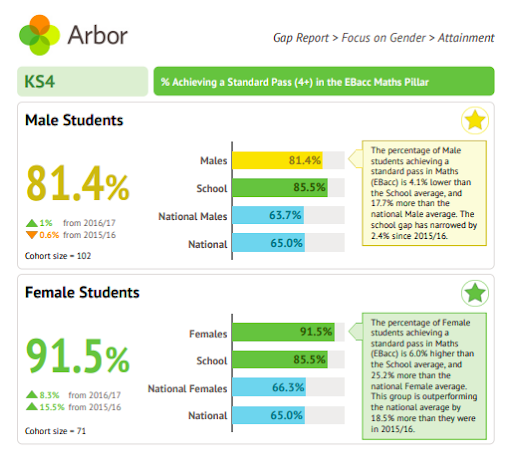 To help you, we’ve written this a short blog explaining how schools & MATs use the integrated assessments module of Arbor’s simple, smart, cloud-based MIS to track, analyse and report on pupil progress. At BETT this year, former school leaders Tim Ward & Stephen Higgins took to the stage at the Solutions Den to demonstrate how using Arbor’s simple, smart, cloud-base MIS could transform the way your school operates by putting essential data at the fingertips of your senior leaders, teachers & office staff, and by automating and simplifying administrative tasks to reduce staff workload. For those of you who missed it, we’ve posted the presentation that they gave below! 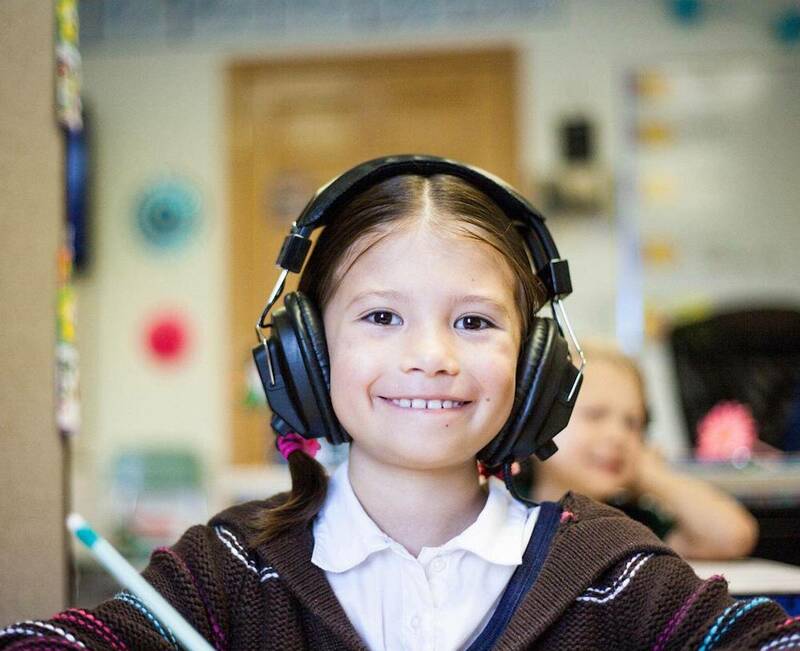 We’re an education company whose core aim is to improve student outcomes – I imagine that’s the same as your aim! At Arbor, we help you learn from your data, turning it into something that informs you and saving you and all the staff at your school hours of time per week. If we can help you do those two things, we’ll empower you to improve outcomes for your children. We offer some of our products and training for free – like today’s session! Who are my borderline students? How can I intervene with these students? What was behaviour like in Maths this year? How do we tell Anthony’s story? How can having the “whole picture” of a student lead to a happy ending? To conclude, how have we helped this school find a happy ending? 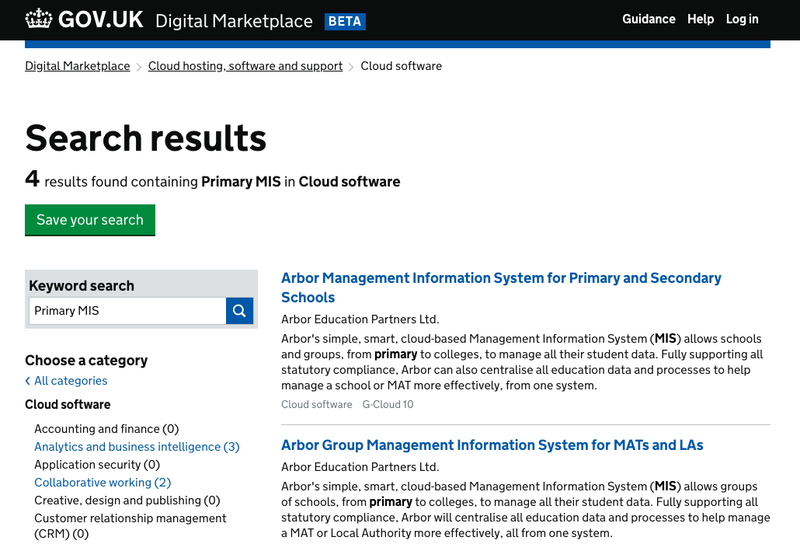 To find out more about how Arbor’s simple, smart, cloud-based MIS could reduce workload, save time and improve outcomes at your school, get in touch with us via the contact form of the website, or email tellmemore@arbor-education.com to book a free, personalised demo! 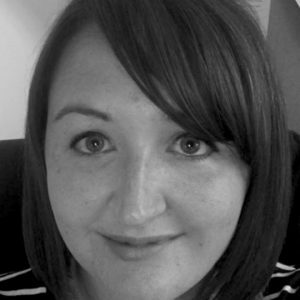 With BETT just around the corner, we caught up with Julie Smith, PA to the Headteacher at Parkroyal Community School, who’ll be joining us at our School Leaders Lounge at Tapa Tapa restaurant at this year’s show. We asked her some questions about how life at Parkroyal has improved since they adopted Arbor in 2015. What was your first impression of Arbor & what did you like the most about it when you switched? The first word that comes to mind is ‘simplicity’. It’s easy to grasp, and new users can quickly work their way around the system’s functions – you don’t feel like you need hours of training, as you do with other systems. Something I love about Arbor is the fact that it’s multi-functional across the school. 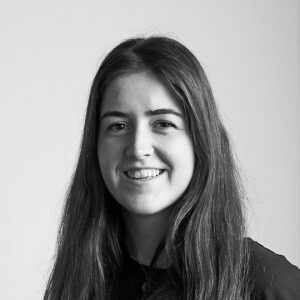 By that I mean that most areas of the school use Arbor, whereas with our previous MIS provider, we found that it was only really the School Office staff that were using it – classroom teachers were using it to take the register in their classes, but that was about it! Now everyone in school knows how to use it. 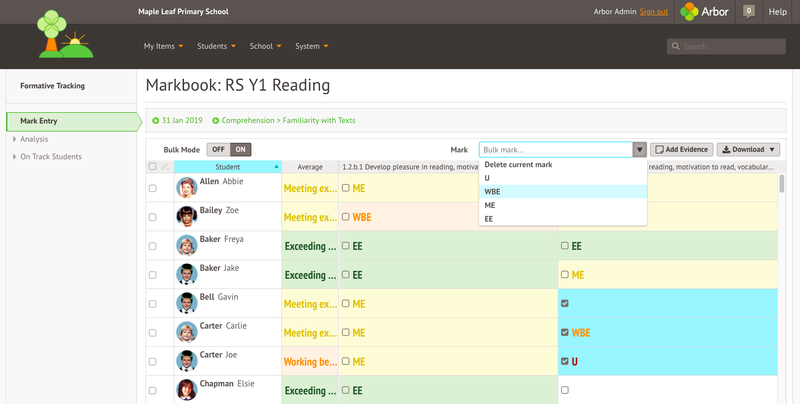 Arbor is a school-wide tool, not an office-based MIS system. Can you think of a particular part of Arbor that saves you time on a day to day basis? Attendance, definitely! 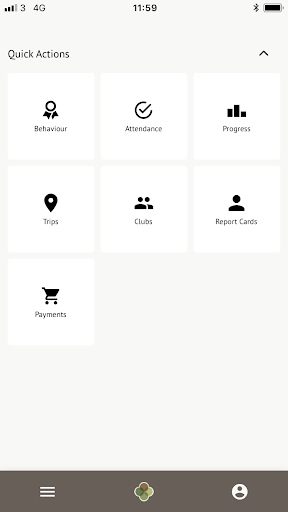 Being able to identify who’s absent and chasing them up in a few clicks saves us hours. Having spoken to other schools that don’t use Arbor, I know that it takes one lady nearly all morning to do attendance, whilst it takes our admin team about half an hour. We also use Arbor for our First Aid. We log all incidents in Arbor which is a real timesaver because we don’t have so many paper copies of forms floating about that we have to then manually enter into the system. 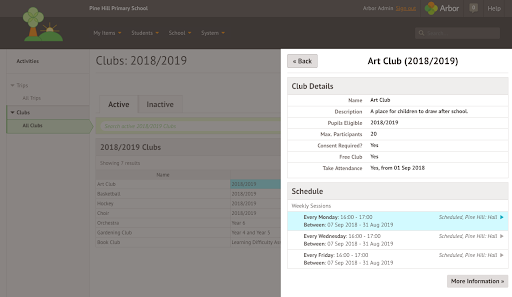 Our midday assistants know how to use Arbor and they’re able to log any incidents that happen at breaktime in Arbor independently, and we can then use this data to identify trends to see if the same pupils are involved in incidents at a particular time of day & then tackle the issue. Our catering team also use Arbor. This is fantastic because we never need to tell them how many pupils are in that day as they can see it for themselves in the system. As a result, they know exactly how much to cook & this means that we almost never have any food wastage! 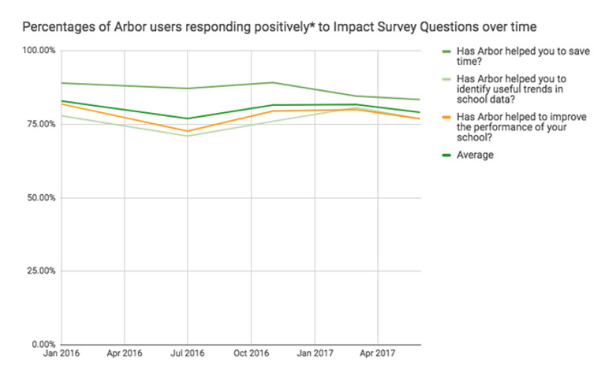 Can you think of an instance where Arbor has helped you spot a trend you would otherwise have missed? On the attendance side of things, it’s really important for us to be able to spot trends in absences and we can do that really easily with tools like Arbor’s sibling correlation function. Being able to look back at past attendance and compare it against other pupils so that we can see if certain students have been absent at similar times is a real help. We can also use Arbor to spot if there’s a pattern of a child being absent on particular days of the week. 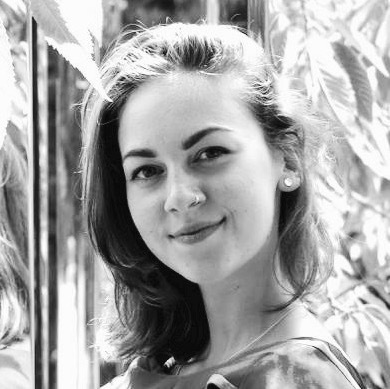 It’s very easy to create detailed reports about this, and that makes my life a lot easier! I’ve also set up custom reports for student attendance to be sent out to class teachers on a weekly basis. This is obviously automated, so I don’t have to prepare them or send them out myself – Arbor does it for me. As a result, our classroom teachers are more in the loop with what’s going on in their classes and don’t have to keep asking us for reports all the time. How would you describe your favourite feature of Arbor to someone who’s never used it before? I like the fact that it’s very visual. The colour coding side of things is brilliant – it helps you spot areas of concern instantly, especially with assessments & behaviour. I like the fact that you can dig deeper into analysing your data without too much effort – it’s there at your fingertips. As a company, Arbor understands what data is the most important and you break it down into the right areas & present it well. You have an understanding of what actually happens in a school, partly because many of the people that work for Arbor have worked in schools in the past. 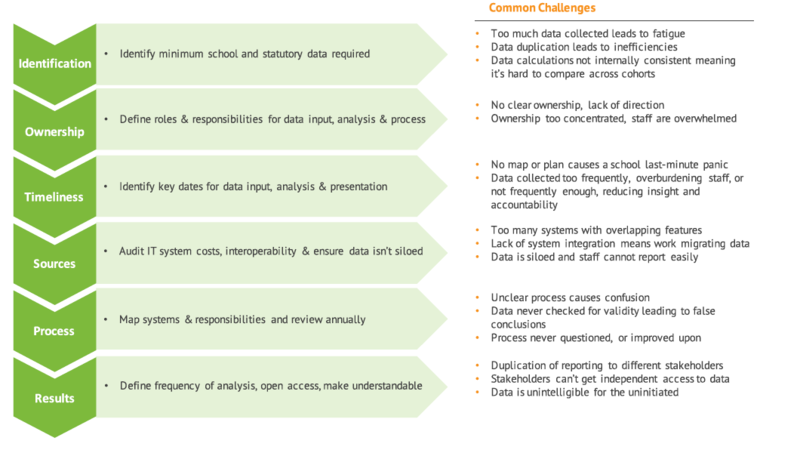 You understand the fact that teachers often need data quite quickly & don’t have the time to spend hours looking for it. I can find the majority of what I need just by clicking a few buttons i.e. breakdown of demographics, that sort of thing. We’ve been using Arbor for 5 years but when we were with our previous MIS provider reporting was very time consuming. We had to make a report, create a report, run a report, and if you wanted to change something, you had to do it all over again! The fact that the teachers can now do their own reports has been brilliant – they used to come and ask us for all sorts of reports, but now they can do all of that themselves because they know exactly what to do. Do your classroom teachers find Arbor easy to use? They do, and they have a good grasp of the system. 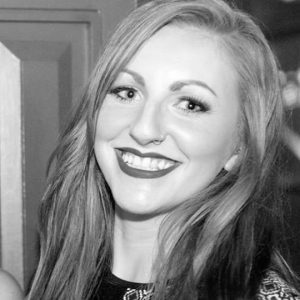 We had a couple of NQTs join us last year and one this year, so I sat down with them for 10 minutes and they knew what they were doing after that. You need a bit more training if you want to be able to have a deeper understanding, or set up something new, but for day to day stuff and getting information our classroom teachers generally find it very intuitive. The last NQT I sat down with said to me “I’ve played around on it, it’s just really easy to use”. She’d worked it out herself. I’m the Arbor champion at Parkroyal who’s responsible for training our staff on the system, so this is a great bonus for me! Besides of course coming to see us at our School Leaders Lounge, do you have any tips for people visiting BETT this year? There’s a load of people trying to sell lots of different products! I personally think it’s good to look round and see what there is, but before you launch into buying a particular product or a system that you think you might need for your school, I’d recommend talking to Arbor first because the system can probably do it. Or if it can’t do it, it probably integrates with a product that can. Free Arbor Insight Academies Financial Benchmarking reports available now! We’ve just released our Arbor Insight 2016/17 Academies Financial Benchmarking report. All schools that academised before September 2016 will now be able to log in to their free Insight portal and download their newest Financial Benchmarking report! You can use your Financial Benchmarking report in governors meetings, financial planning meetings and to improve next year’s school budget. We calculate specific benchmarks in your Financial Benchmarking report to give your data context and enable your budget plans to be effective and realistic. 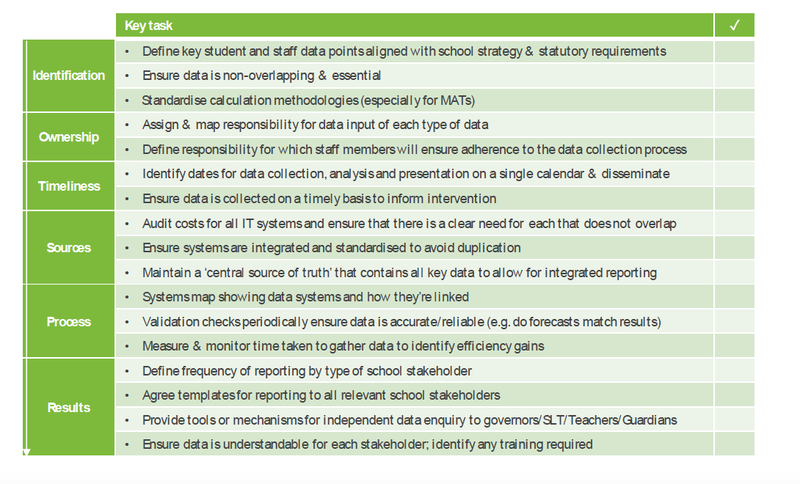 Your report benchmarks your school against schools ‘like you’, ‘Schools in your LA’ and the ‘national average’. How did you derive my LA and National averages? 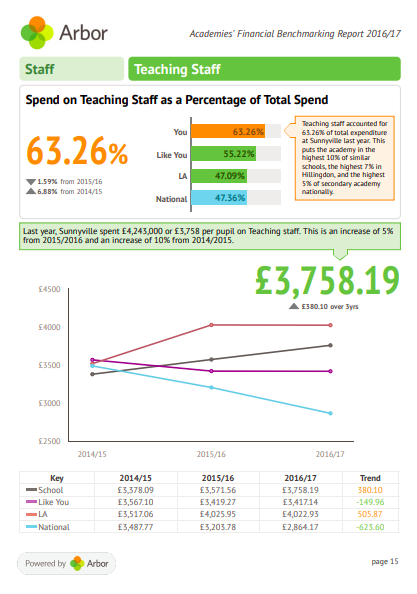 We’ve benchmarked your school on a variety of measures to allow you to analyse your budget in a wider context. We only compared your School to the averages for other primary, secondary, or special schools (depending on your school type), to make the comparisons in the report more meaningful. After all, a primary academy’s spend is different from a secondary academy’s, which is different from a special academy. An average that included all three would be misleading. What is a school ‘like me’? 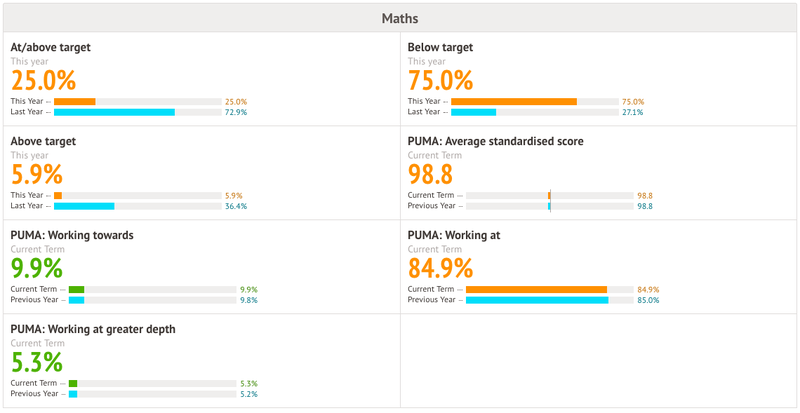 We created the schools ‘like you’ measure to give you the most meaningful comparison for your School. First, we filtered by schools of your type (primary, secondary, or special) for the reasons mentioned above. Then, we filtered by schools who were inside/outside London as this changes your cost structure. Next we filtered by size, ensuring that your school is compared to schools with a similar number of students. 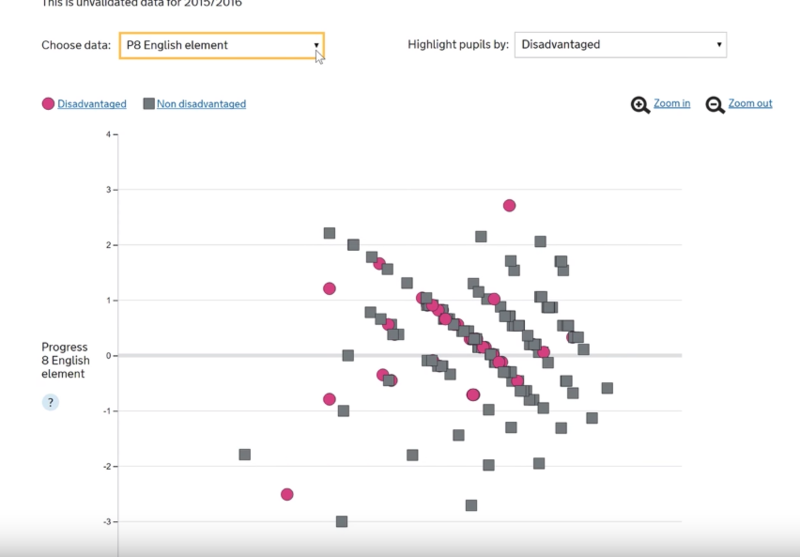 Finally we took your FSM, SEN and EAL data, weighted them based on the size of the attainment gaps at KS2, and combined them into a baseline score to find schools with similar demographic intakes to your School. For example, if you’re a large rural secondary school with a lot of FSM students, your spending in each area will be benchmarked against other large rural secondary schools with a lot of FSM students. 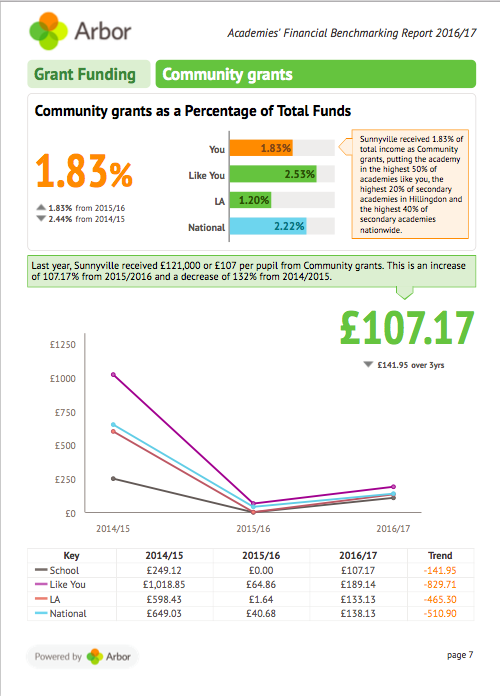 The schools ‘like you’ measure helps you account for your specific circumstances and understand why your spending might be above or below average. For each spend and income measure, your Arbor Insight Academies Financial Benchmarking report will show how much you spent as a whole, as a percent of your total spend and per pupil. We add detailed analysis to all of your graphs so you can quickly see the headlines for each measure. Our 2017/18 Schools Financial Benchmarking report will be released early next term. If you have pre-ordered this report you will receive an email from us as soon it is released, and you can then download it from your portal. This Autumn term, we organised 54 Insight Training sessions that were attended by teachers and members of Senior Leadership Teams from schools across the country. As well as looking at how Arbor’s Insight reports can help you to benchmark your schools results and streamline your operations, the sessions also demonstrated how you can use your performance data and Arbor Insight portal to support and inform your annual school improvement cycle. Until you’ve answered those two why questions, you can’t figure out how to improve. We have two approaches to share to help with this. Categorising them like this encourages you to ask a wider range of questions and uncover the specific problem. 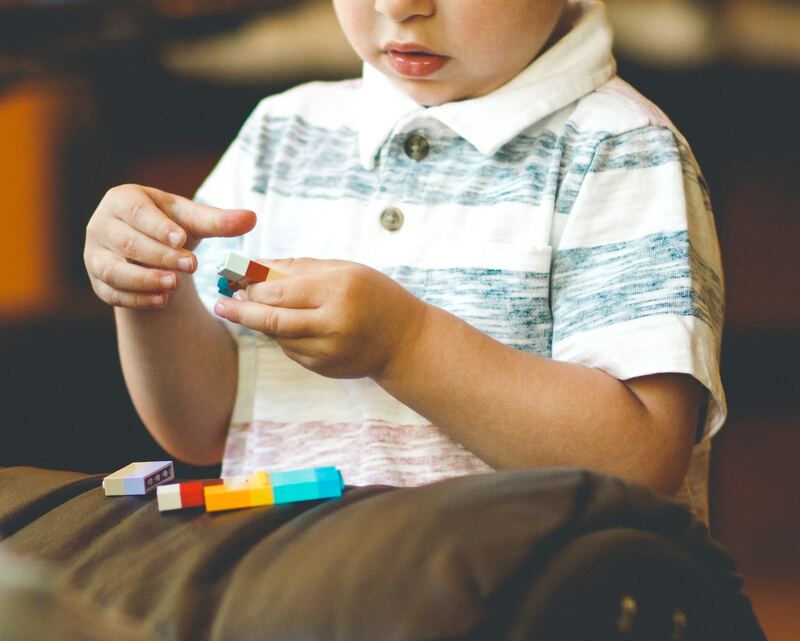 As those of you who teach or have younger children will know, one of their favourite, and sometimes most frustrating, games to play is the constant asking of “why?”. In fact, this single, repetitive question is a really useful way to dig deeper into the context behind your results and again, challenge your assumptions. In this case, “poor teacher knowledge of what could be achieved” is the root cause. You’ll know when you get to the root cause because it’s usually something specific and tangible. Unlike vague statements like “progress is slow” or “expectations are low”, it’s something you can actually address. To log in and see your free ASP dashboard and reports for Phonics, KS1, KS2, and KS4, click here. Our Insight training sessions are over for the year, but if you’d like to host one for your area or find out how else Arbor can help your school or MAT, you can get in touch here. We’ve written before about the fact that more schools than ever are choosing to switch to a cloud-based MIS – in fact, we predict that over 1,000 schools will move in 2019 alone! 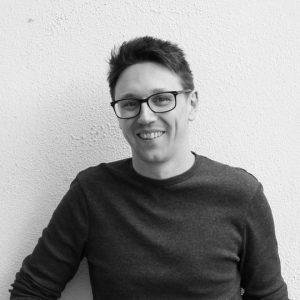 It’s not just potential cost savings which are compelling schools to move (primary schools save £3,000 on average by switching, and secondary schools could save around £6,000) – increasingly schools are realising that moving to the cloud offers a real opportunity to transform the way they work. We explore the 4 key ways your MIS could do this below. Put an end to paper registers, incident forms, and classroom context sheets! A cloud-based MIS will let you record all this information quickly & easily via a browser so you never have to worry about printing or losing a sheet of paper again. Not only is this better for data protection, compliance & safeguarding (contrary to popular belief, the cloud is a lot more secure than using a server-based system or arch lever files), it also means you’ll eliminate unnecessary data duplication (never again will you have to transfer information from paper to screen!). 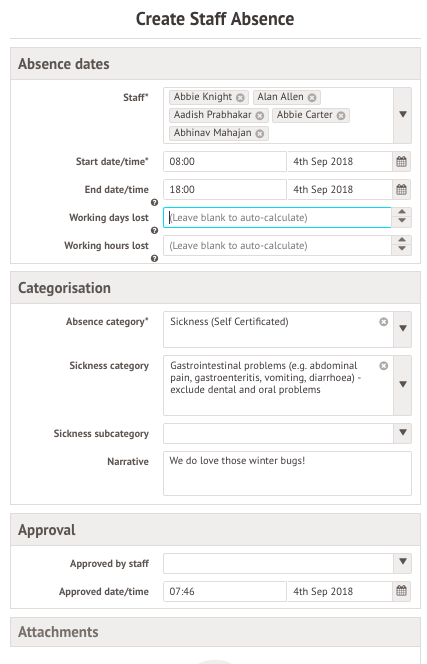 The second benefit to putting key information about attendance and behaviour in a cloud-based MIS is that you can start to set up smart workflows which mean your MIS ends up doing a lot of admin for you. For example, you could tell your MIS that everytime a “Level 3” incident is recorded, the Head of Year should be automatically informed by email and the student should automatically be registered for the next detention. 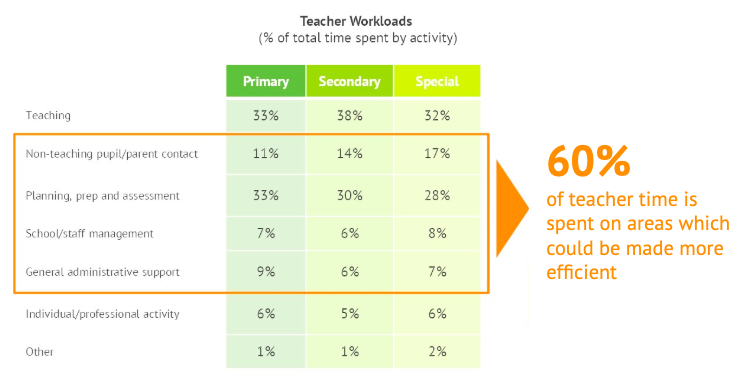 This helps to cut out a lot of manual chasing & scheduling – and also helps your school to maintain a consistent behaviour policy. When you use a server-based system, staff can only access your school MIS from specific stations (normally the desktop in their classroom). This limits the usefulness of the information inside it, since it can’t be viewed, discussed or put to use outside of that one room. With a cloud MIS, your staff automatically have the flexibility to work on the move around school and bring up important information quickly & easily in key meetings. Far too often, schools end up using a patchwork of different systems for different school areas (such as attendance, behaviour, parent communication, interventions, and so on). This normally means that in order to look at patterns between different areas, add demographic data into assessment results, or follow up with parents about absence, staff have to manually download and compare different spreadsheets, find contact details in one place to use in another, and juggle multiple logins. All of this means leads to lots of manual work to make data any use. By contrast, most cloud-based MIS systems replace your patchwork of systems with just one – making your data instantly accessible, comparable and useful. 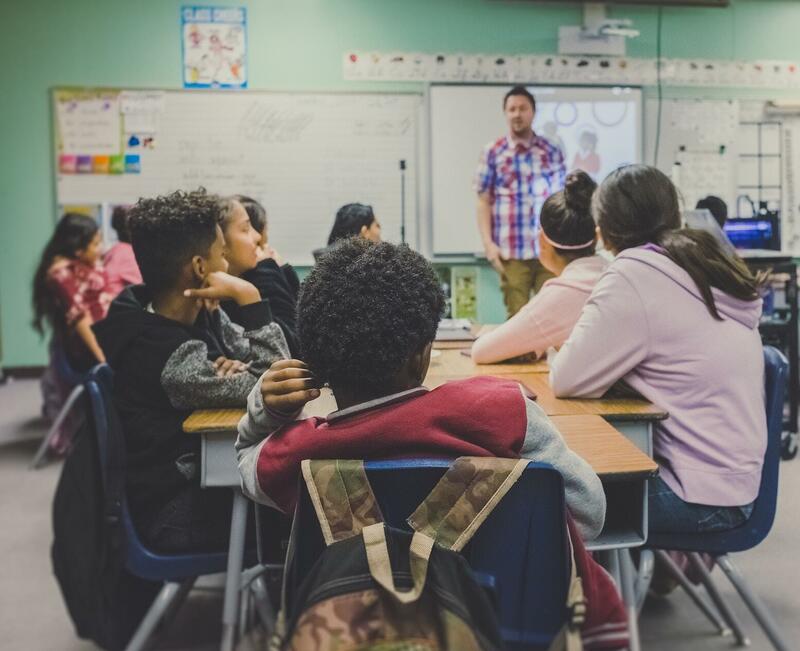 With so many schools moving to the cloud, we’ve found the question has become when and not if the decision is right for your school. We’d be more than happy to discuss how you currently use your MIS and explain how our simple, smart cloud-based system could help you transform the way you work. Just get in touch here, call 0208 050 1028 or email tellmemore@arbor-education.com. 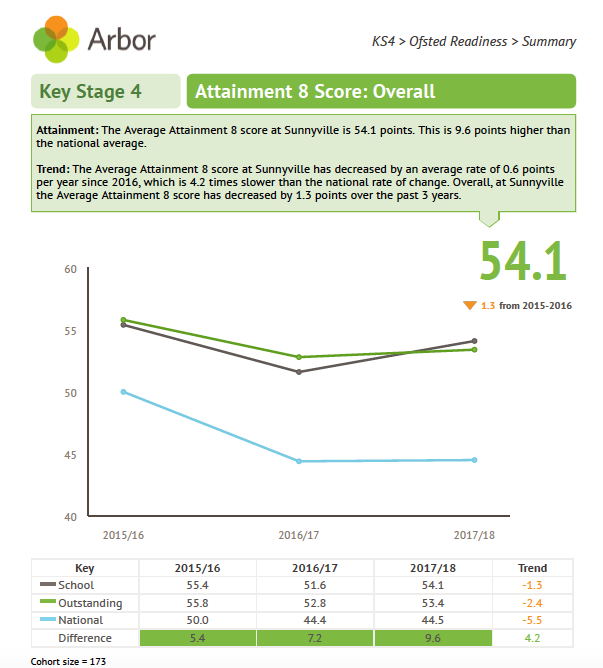 A couple of weeks ago we added 2018 KS4 Analyse School Performance (ASP) data to our award-winning Insight dashboards and reports. Arbor Insight is a free benchmarking portal that we’ve created for every school and MAT in the country, and our premium performance reports provide in-depth analysis of your data to help you spot trends you might have otherwise missed, understand strengths & weaknesses, and make interventions. 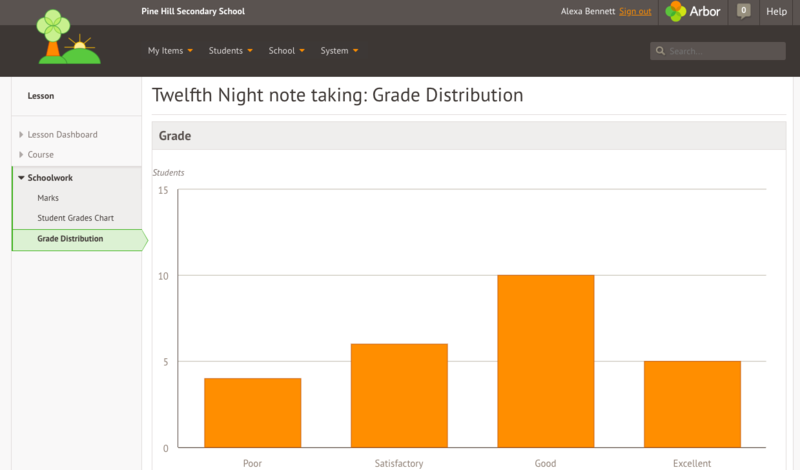 This is the first year that all 5 core English Baccalaureate subjects (English, Maths, Science, Language and Humanities) have been graded 9-1 under the new grading scale, so we’ve updated your KS4 Insight reports in light of the reform, to make sure you’re still getting accurate insight into your school’s performance data. How have my reports changed? A*-C is now used as a proxy data in our trends, as a benchmark for the years before the new 9-1 grade scale was introduced in subjects. This should give you as good an idea of your performance trend over time as possible, although we know it’s an imperfect comparison! 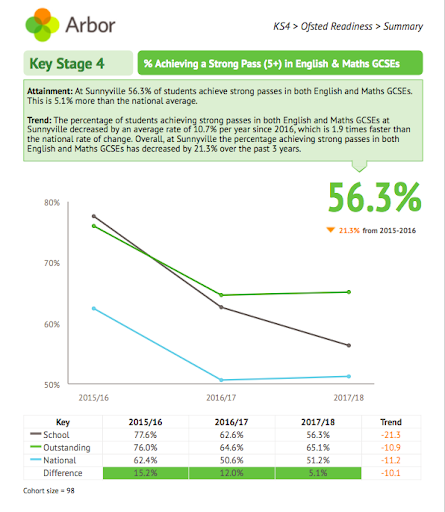 As well as highlighting your strengths and weaknesses in performance measures, our Ofsted Readiness report has 6 graphs for each core subject. These include how many pupils in your school or MAT achieved a Strong or Standard Pass, benchmarked against schools graded Good and Outstanding at their last Ofsted inspection. 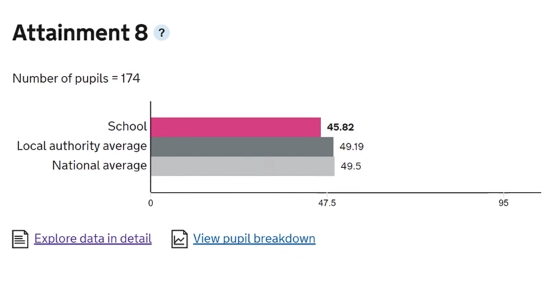 In this report, we show you the percentage of pupils achieving a Strong Pass, so you can understand where you need to improve to help all pupils achieve this goal. You can see how your pupils performed in the core subjects (English, Maths and Sciences) how the core average compares, and compare these to national averages. 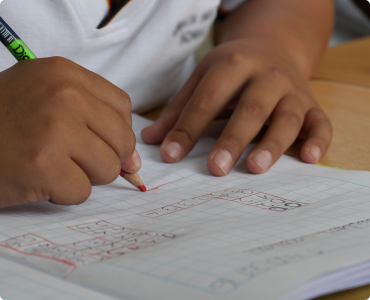 Each report, in this set of five, focuses on a different attainment gap that is prevalent in England. 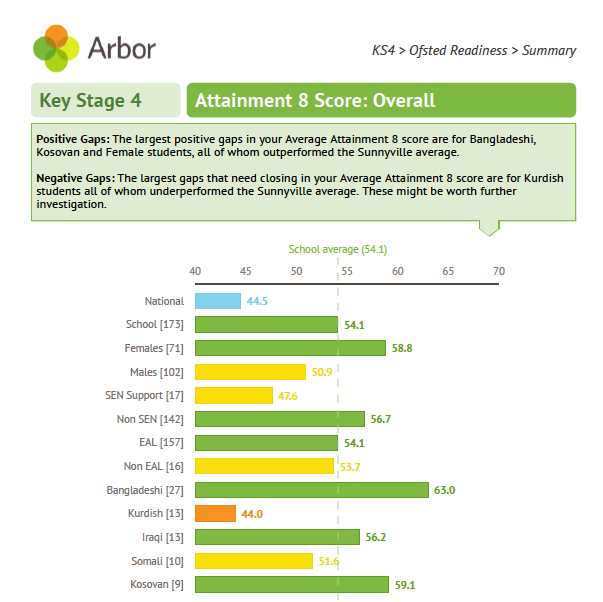 You can see how wide or narrow this gap is in your school, and compare it with the national average. 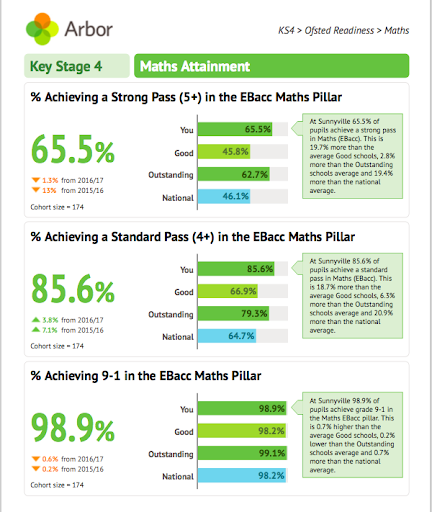 For example, you can see what percentage of boys in your school are achieving a Standard Pass (4+) in EBacc Maths Pillar, and compare that rate against your girls. You can find this information in the Closing the Gap report: Focus on Gender. As I’m sure you’ve seen, Ofsted recently announced plans to change the way it inspects schools, colleges, further education institutions and early years settings from September 2019. To help you understand how the new framework will impact the way you operate your school, we’ve rounded up the most important changes you need to know about. Firstly, Ofsted will introduce a new judgement for ‘quality of education’, which will replace the current ‘outcomes for pupils’ and ‘teaching, learning and assessment’ judgements with a single, broader judgement. This new judgement will mean that Ofsted can recognise primary schools that, for example, prioritise phonics and the transition into early reading, and which encourage older pupils to read widely and deeply. 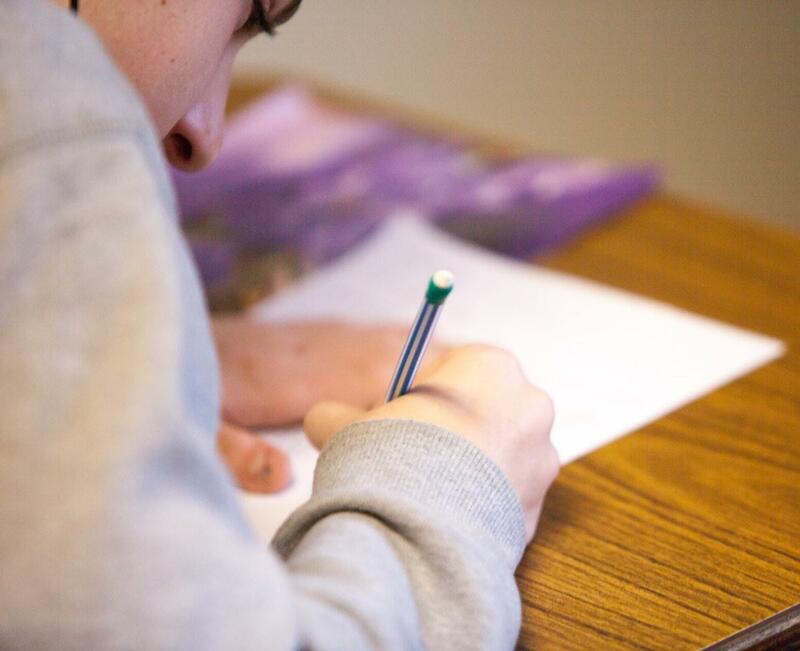 It will also make it easier for secondary schools to offer children a broad range of subjects and encourage the take up of core EBacc subjects at GCSE, like humanities subjects and languages, alongside the arts and creative subjects. This is a move away from Ofsted’s previous focus on exam results. In many cases, your MIS system can help provide evidence to inspectors that you’ve incorporated these new guidelines into the way you run your school. 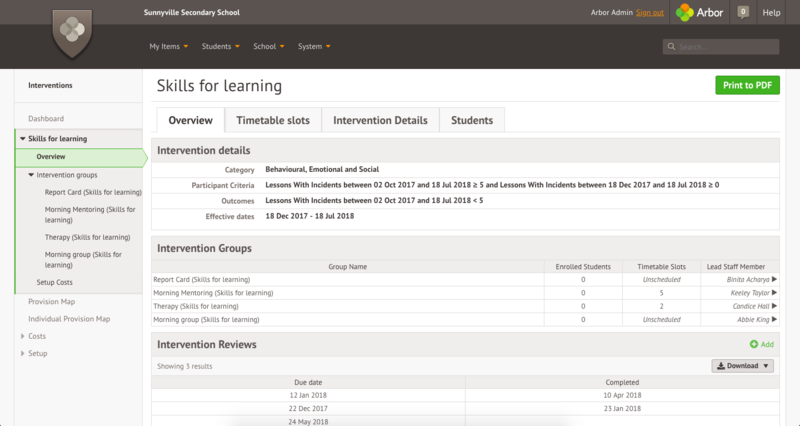 Arbor’s Assignments module allows school leadership to check in on the quality of homework set by teachers and returned by students, and teachers can upload lesson resources to assignments and lesson dashboards, which can be reviewed by leadership or inspectors. These changes recognise the difference between behaviour & discipline in schools, pupils’ wider personal development, and their opportunities to grow as “active, healthy and engaged citizens.” ‘Extra-curricular activities’ should be incorporated into the curriculum, and schools will be required to prove that they offer a range of these activities. So what will Ofsted inspectors be looking for with the new framework? The new framework places less emphasis on schools’ headline data, with inspectors focusing instead on how schools are achieving their results, and if they’re offering their students a curriculum that is broad, rich and deep. 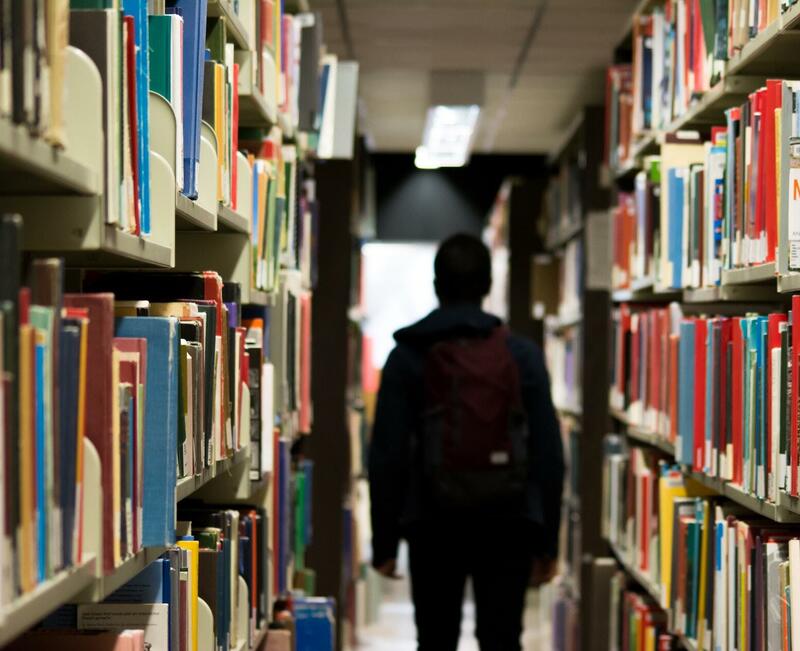 The changes will look in more detail at the substance of education, and actively discourage unnecessary data collection (a key contributor to increased workload in many schools). 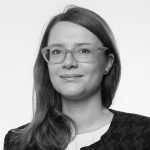 Ofsted’s Chief Inspector, Amber Spielman, said that the changes would move inspection more towards being “a conversation about what actually happens in schools”. The pace of change is increasing The pace of change in education is increasing fast, with new structures, policies, funding formulae and technologies announced seemingly every month. This is particularly hard to cope with in schools who often have highly embedded, overlapping and complex processes which have been in place for years and never questioned. The pace of change in education is increasing fast, with new structures, policies, funding formulae and technologies announced seemingly every month. This is particularly hard to cope with in schools who often have highly embedded, overlapping and complex processes which have been in place for years and never questioned. Top that off with a highly time-pressured environment and it makes change hard. “If you want to make enemies, try to change something,” as the saying goes. 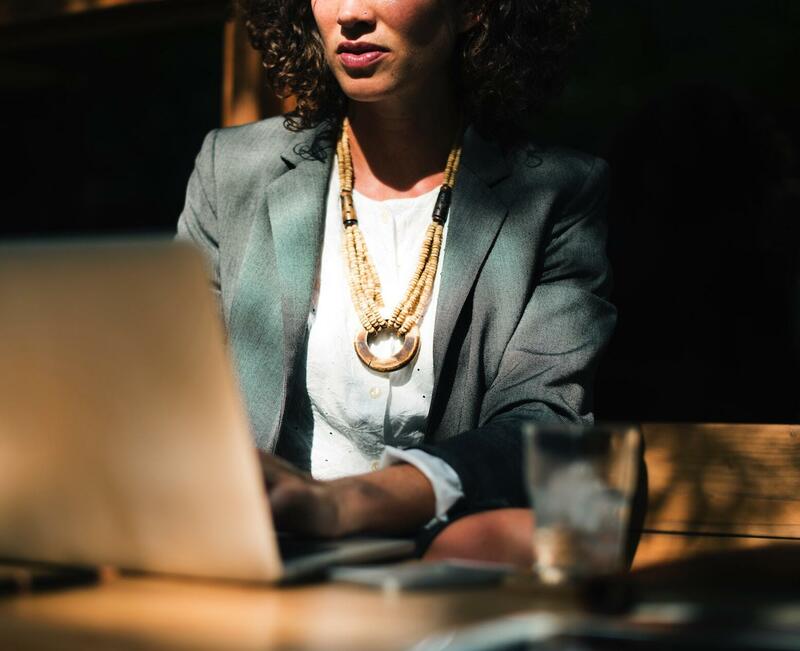 However change is a reality that has to be faced if you want to improve, and rather than ignore it and try to batten down the hatches, Senior Leaders should take the time to learn about how to manage it. If change is well managed, and staggered so as not to overwhelm staff, it can improve outcomes for all stakeholders. We thought we’d publish our guide for how to manage change (which we use for MIS implementation) so that Senior and Middle Leaders can borrow and adapt it for use inside your school or institution. 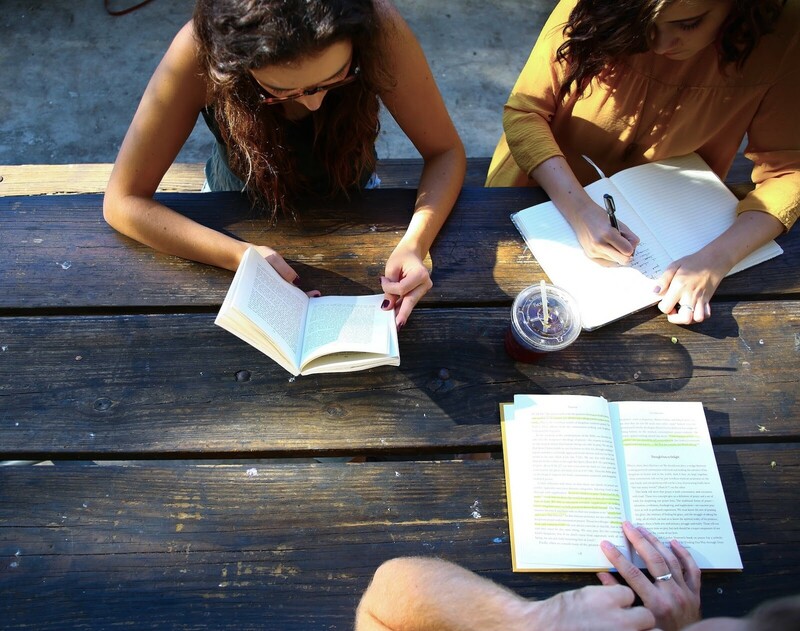 It’s not meant to be a proscriptive series of steps to be followed, but rather a general guide to help you think through the process and tailor to your own school. Identify a compelling need for change with a sense of urgency to maintain momentum throughout the project. If you don’t make the need for change compelling or urgent enough, people won’t see the point. Identify champions who have the capability, capacity and positive attitude to help drive through change. It may start with you (it often does! ), but it always helps to roll out within a school, department or team you know will have the best chance of success. Remember you can’t do everything alone! To get buy in you’ll need a compelling vision. Articulate what success looks like and the benefits this will have for each stakeholder (how much time they’ll get back, how their job will be easier etc). Ideally identify some metrics of measuring success (e.g. number of users logged in, amount of time/money saved, staff satisfaction). Communicate the vision publicly to get buy in from your staff for the change and to help support the champions you identified. You’ll never win everyone over, that’s fine, but you’ve at least called out the issue and given it support. Change comes from the top, so you need to be seen to champion it. All too often we see projects fail in schools as change is not staggered so it combines with the pressures of daily school life to overwhelm staff. Instead try to phase in change, identify the right time of year for it, and try to get others to be seen to be successful. Staff will then feel empowered, not threatened or overwhelmed. Try to create quick, meaningful wins to demonstrate success and encourage buy-in. These should be publicised as success stories to galvanise support and overcome inertia. Keep a steady drip of success stories coming to maintain momentum and isolate the naysayers. Demonstrate success further by quantifying it against the success criteria you identified earlier, and publicising results. Use this credibility to change other more entrenched systems and processes. Most change initiatives fail by assuming the job is done before change has taken root. Culture is a strong force that takes time to realign. To create and sustain change will require continued demonstration of success and ongoing dialogue with staff. Arbor has gone through our Change Management process with our Group and Multi-Academy Trust clients. Our Impact Metrics and Net Promoter Scores show consistently high scores given by schools over time, showing that the Change Management Approach and system has helped to create a consistently positive impact, as shown below. That’s one way we measure success, but I’d be keen to hear how you measure yours! Just having a brilliant team and a great idea isn’t enough if people don’t know about you and can’t talk to you about it. You won’t have the resources of an open school (lots of teachers, a printer, a kettle…) to market your offer, so you have to do lots and lots of events, flyering, talking to people in person, going to find them as well as getting them to come to you and using technology to reduce the effort and increase the quality of communications. We spoke to hundreds of parents in person to get our school full for opening, via our own events, the feeder schools, park and playground trips and small gatherings in coffee shops or local community centres organised by keen parents. 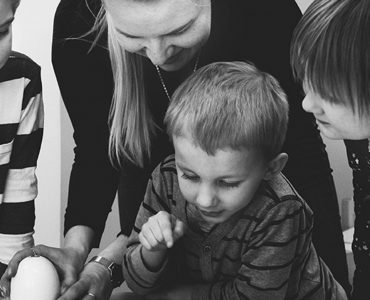 We met families on Good Friday to reassure them we’d be open on time and would provide the kind of education they wanted. If the only tangible thing your school has is your team and a prospectus, then your team have to be out talking to people. This includes your Principal Designate, who may not be used to such a street-facing role. We had a Skype phone that could always be answered by someone knowledgeable from any location (and you can keep the number when you move to full land phone) so parents got the same response they would get from calling an open school. I cannot believe how many free schools don’t have a phone number, considering how many calls parents make to us. Parents need to talk to you, for reassurance as well as practical details. Advertise effectively. Bus rear-end ads have given us the best return, they’ll be seen in the right geographical area by all people and you can normally get a good deal if you haggle. Use Mailchimp, Eventbrite and other free and effective tools for making you stay better engaged with your parents, as any growing business would. 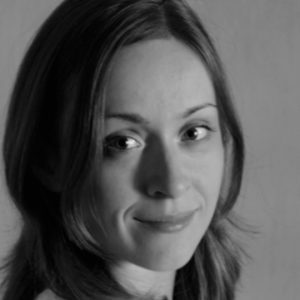 Head Designate: Obvious but they need to be brilliant and you need to get on with them. Good relationships and cultural fit are even more important in a start up phase when you’re building the organisation together. The head needs to be resilient and 100% on board with the vision; make them prove this to you in the interviews. Operations/Business Manager: A weak point for all academies not just free schools, as the requirements and levels of accountability are so different compared to established community schools. 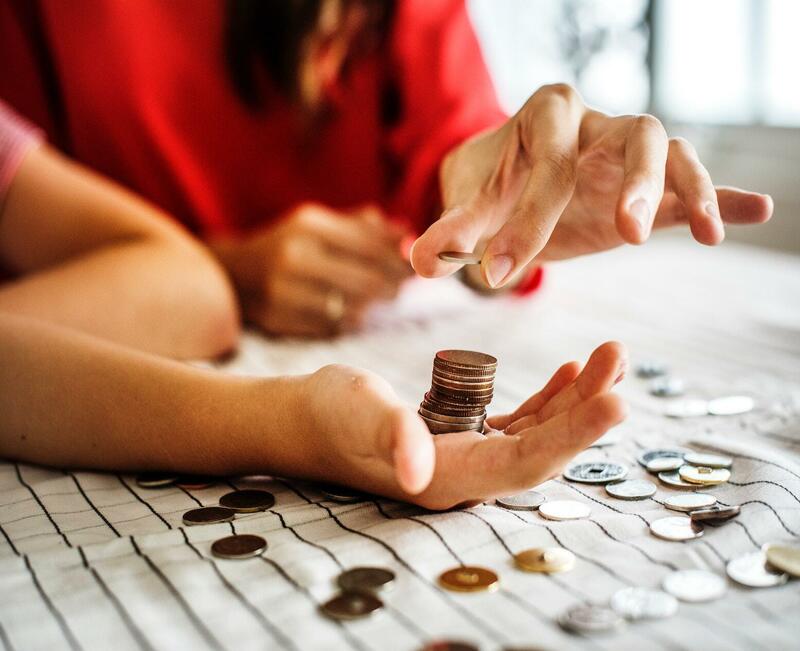 You’ll need good software that you can use from anywhere, access to a good accountant and someone who can switch between managing lunch money and the EFA capital claims. I would recommend sharing someone brilliant with another school over having a dedicated under-qualified person. In this model, employ an administrator who can communicate really well with parents and the business manager. 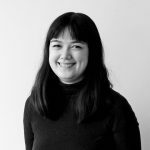 IT manager: You’re reading this blog because you’re interested in data and technology so make sure you hire someone who believes in your vision and has enough experience to manage your ICT providers and train your staff as well as manage the network and reset your passwords. I think this is a two-man job, and would recommend a Senior plus an Apprentice so speak to your local vocational provider. You might be able to get someone to join in pre- opening from an apprenticeship scheme, and get a grant for doing so. Don’t expect all the ICT to work perfectly on day one unless you have some good on your side managing it. Make sure you have back up plans e.g. access to a 3/4G connection for when your broadband is not installed on time (this can take 6 months at least). Good housekeeping, safety and security of student data starts as soon as you receive applications. If you’re using collaboration tools like Google Apps for School, make sure you have signed the right model funding agreements for data processing outside the EU. Make a single person responsible for Data Security and Quality and put in place good practices before school opens. This will make the preparation for your pre-registration checks, opening day and first census all the more easy. Make sure things you want to communicate electronically can be viewed on phones as well as computers to reach the widest possible audience. Arbor is free for Free Schools in pre-opening so you can use Arbor to send SMS to parents and begin building up profile data. You can save yourself lots of time and errors with things like Google Forms or Survey Monkey, that can help you collect information from parents and new staff electronically, and leave you time to focus on the harder-to-reach parents, who might not have internet access or English as a first language. In the next blog, I’ll focus on ICT in free schools.